Gorgeous!! Love that leopard fur vest. You styled it perfectly. Alright, you’ve convinced me. I need that leopard vest! Such a cute vest, but I absolutely love those shoes! Obsessed with this leopard vest! You can wear it with so much! I love those pants! I would have never thought to try faux leather. They look comfortable and classy! 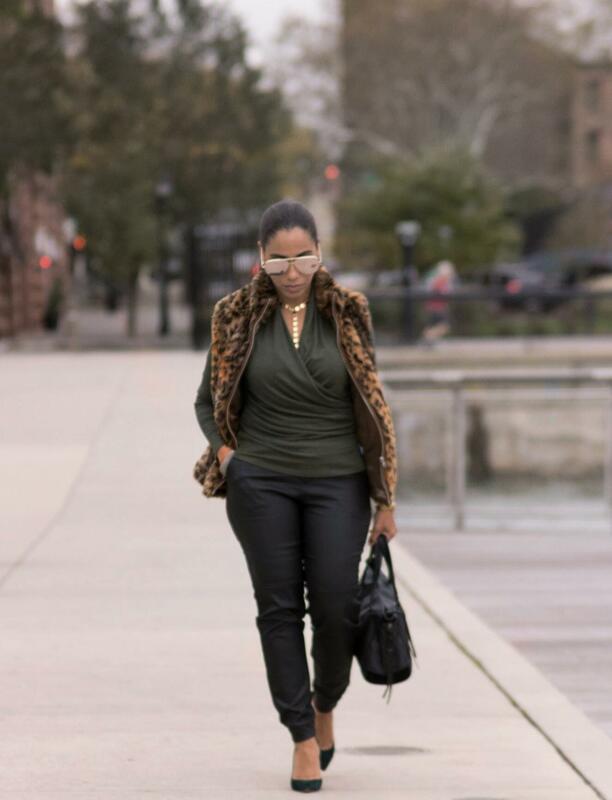 Leather, leopard, and olive green .. oh girl this outfit is on fire! I love this look! So amazing with the leopard vest! 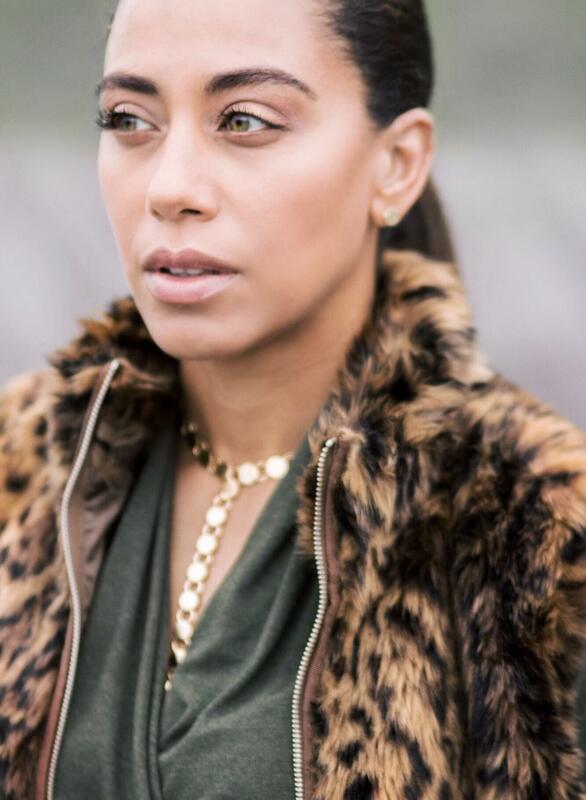 Love the faux fur vest and of course the leopard pattern. You can’t go wrong with leopard. Ever! Absolutely love this leopard! so pretty! Oooooo I’m loving your leopard vest! Such a fun piece for the holidays. First off, you are gorgeous! I haven’t worn anything leopard in a while.. but I really love the style of the vest. Not sure I can pull it off like you do, though! Damn, I wish I was this stylish! I’m currently sat in a grubby old tee, scruffy denim shorts and old flip flops… thanks for she style inspiration!